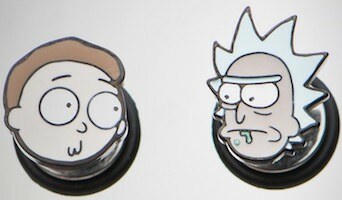 If you want earrings that look like you have faces in your ears then you should check out this Rick And Morty earrings. The earrings are fake plug earrings so it may make people think you have big holes in your ears while you actually have just the normal hole. The earrings are made from 316L surgical steel so that is safe for most people and on the end you will find a head and that means that each ear will have a different face as one is Rick and the other is Morty. So no more boring pearl earrings because Rick and Morty are way more fun in your ears. 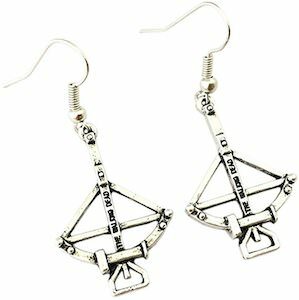 If you like The Walking Dead and want some cool jewelry then you should check out these Daryl’s crossbow earrings. The earrings are chrome in color and look like the crossbow used by Daryl Dixon and now they can dangle on your ears. On the crossbow, it also says “The Walking Dead” so that everyone that looks at your ears will be able to read and then they will know that you like Daryl and The Walking Dead. Specialty jewelry like this is just fun to add to your The Walking Dead collection and you will have the cool earrings to wear when the new season starts. Now you can have the suitcase from Newt Scamander dangling in your ears. Of course, you have to be a fan of the Fantastic Beasts movie because otherwise, they don’t make much sense. 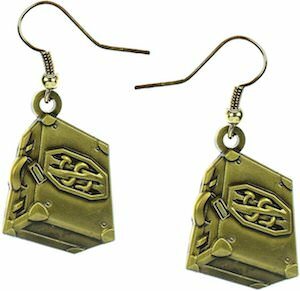 The earrings show brass plated suitcases just like the one Scamander uses and the antique look makes them look fun when they dangle in your ears. We all know how amazing the suitcase is as Scamander seem fit in it and so do the beasts and all that action can now be hanging in your ears as special Fantastic Beasts and Where to Find Them jewelry. If The Joker is your superhero villain of choice then these stud earrings are what you need. 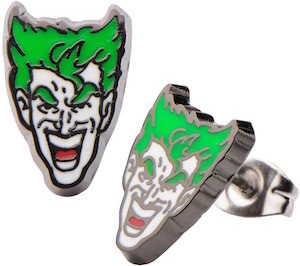 These earrings are made from 316L stainless steel and have the face of The Joker in enamel on top of it so you can have the green haired Joker in your ears and as we know him best he is laughing of course. Yes this is special Batman jewelry and that makes it look amazing while in your ears. It makes me wonder what The Joker on the earrings is laughing about but I think he just feels like laughing at all those people that do not own an amazing pair of The Joker Earrings like you. 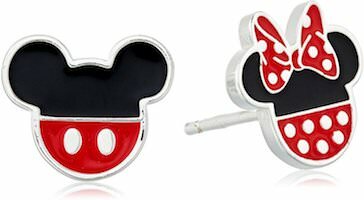 Everyone loves Hello Kitty and now you can have some fun earrings to show the world how much you love her. 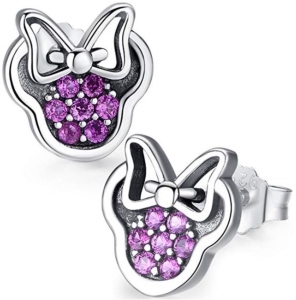 These sterling silver earrings are nickel free and show the face of Hello Kitty complete with bow of course. And no there is no color on there earrings just silver with black details. 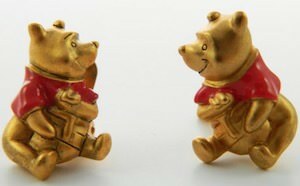 The studded earrings are 9 x 8 mm and that makes them great for kids and adults. Now Hello Kitty can go where every you go as this special jewelry is just perfect in size and perfect to wear. If you are looking for new earrings then why not look at these Hello Kitty Earrings. Why get one pair of Hunger Games earrings when you can have 3 in a nice set. 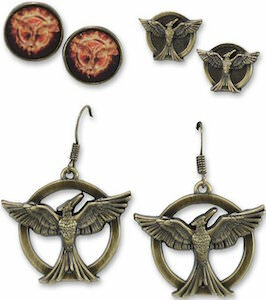 This set is based on The Hunger Games Mockingjay part one movie and each set of earrings have a Mockingjay. There are two pairs of studs one shows a Mockingjay on fire and one is more the like Mockingjay pin. And then there is one dangling pair with French hooks that show the Mockingjay pin with flapping wings and it has a open look making it look real nice hanging down you ears. Are you ready to dress your ears Hunger Games style? If you are then come get your The Hunger Games Mockingjay Part One Earrings.